Innjoo Pro 2 is a high performance smartphone from Innjoo. It features a premium metal design, a front facing fingerprint sensor, and an impressive 6GB RAM. Innjoo Pro 2 sports a 5.5-inch IPS display and promises solid battery life, thanks to the built-in 4000 mAh Li-Po Battery. Innjoo Pro 2 has a 5.5-inch IPS display with 1080 x 1920 pixels resolution. The front is covered in 2.5D glass. 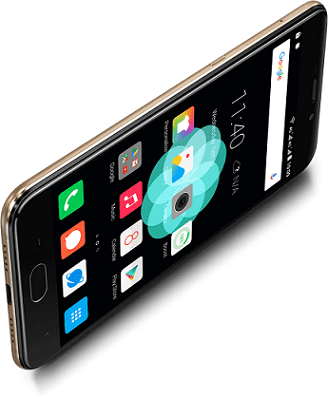 The smartphone features a full metal body and is available in black and gold. Innjoo Pro 2 is coming with the best camera from Innjoo. It features a good quality 16 megapixels camera with a f/2.0 aperture and a 6-element lens system. The camera also features Phase Detection Autofocus and dual-tone LED flash. The camera also features a professional mode similar to the UMi Plus. This enables you manually control camera characteristics like brightness, contrast, exposure, saturation, ISO, etc, giving you more control of the camera. Innjoo Pro 2 offers a 8 megapixels front facing camera. Innjoo Pro 2 is powered by a 2.3GHz octa-core Mediatek MT6757 chipset with a 900MHz Mali-T880 MP2 graphics chip. To make sure everything runs smoothly, the Android 6.0 (Marshmallow) powered smartphone sports an impressive 6GB of RAM. The Android phone has 64GB internal storage with support for up to 256GB microSD memory card support. 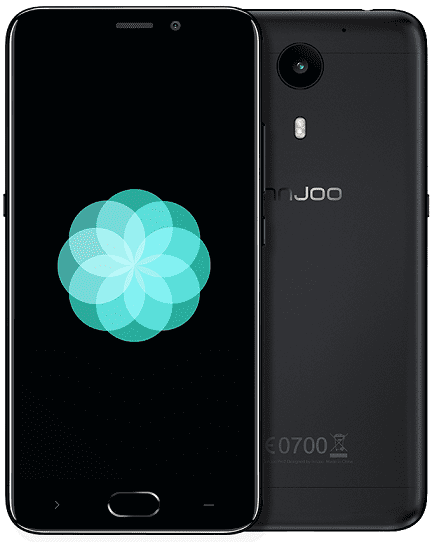 Innjoo Pro 2 has a front facing fingerprint sensor below the screen with a dedicated security chip. It is fast and can unlock your phone in as little as 0.2 seconds. Innjoo Pro 2 is loaded with a 4000 mAh Li-Po battery. It boasts of up to 27 hours talktime and can fully charge the battery in 2 hours, thanks to Pump Express. The smartphone supports USB Type C as well as Bluetooth 4.0 and dual-band Wi-Fi. Innjoo Pro 2 supports 4G LTE on MTN, Etisalat, NTel, Smile, and InterC in Nigeria. It will also support LTE on Safaricom in Kenya. Innjoo Pro 2 is not yet available in Nigeria and Kenya. When available, you can buy the phablet at leading online stores in the countries. Innjoo Pro 2 Price in Nigeria is expected to range from 75,000 Naira to 130,000 Naira depending on your location in Nigeria. The Innjoo Pro 2 Price in Kenya is expected to start at around 26,999 KSh.